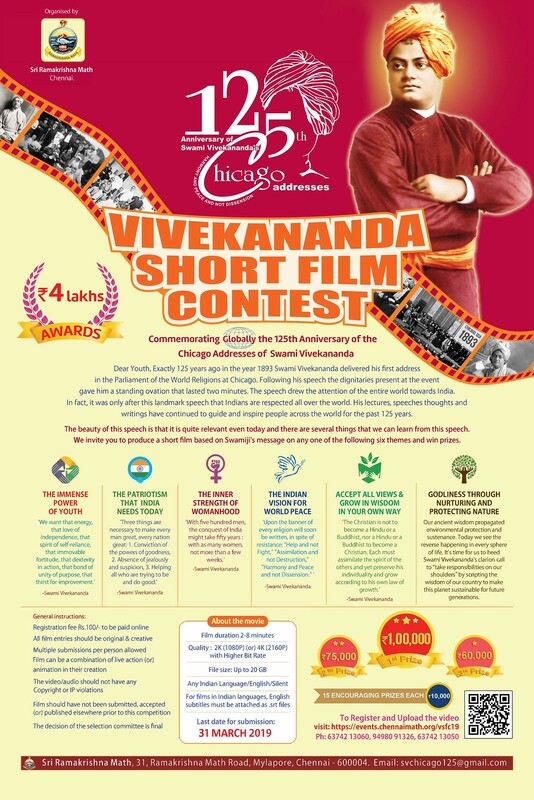 In commemoration of the 125th Anniversary of Swami Viviekananda’s Chicago Addresses, a short film competition based on the message of Swami Vivekananda is conducted by Sri Ramakrishna Math, Chennai for the general public. 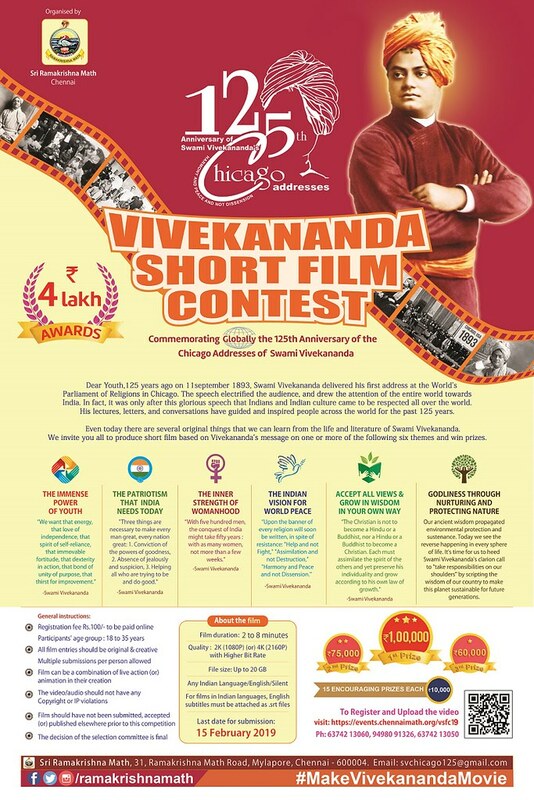 Last Date for Short Film Submission is extended up to 31st March 2019. 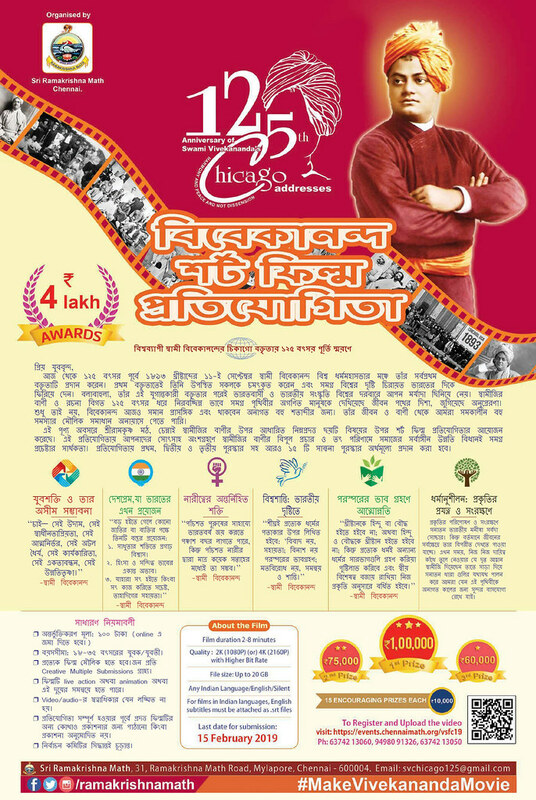 The prize money is worth more than ₹ 4 Lakhs. 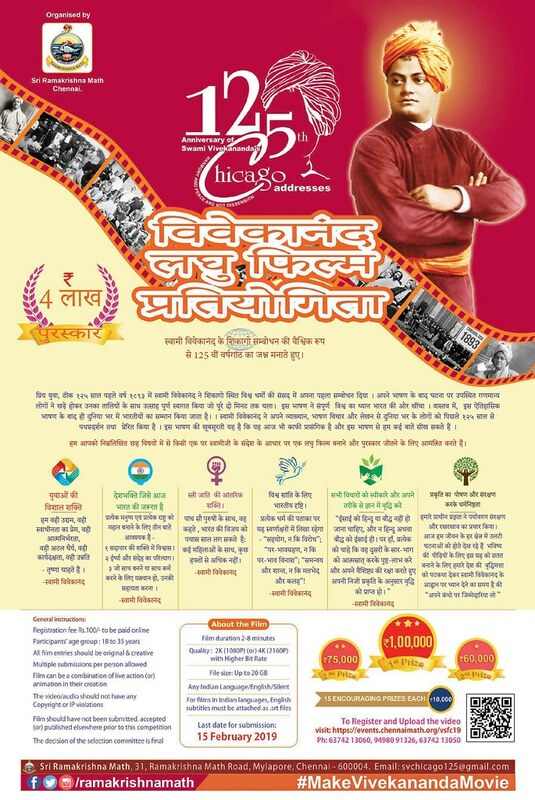 Please help to pass on this information to your students, devotees and well-wishers.